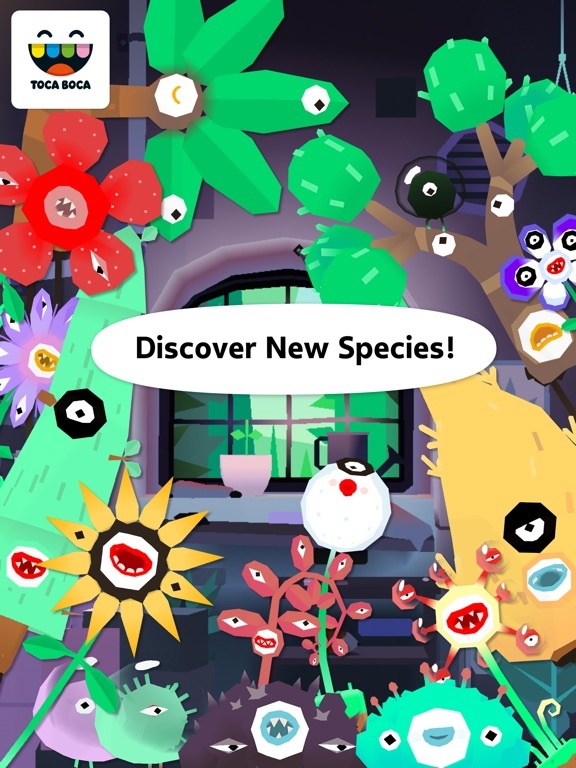 Experiment with plant characters, evolve them into new species and discover their unique personalities. Keep collecting plants until you’ve collected them all! 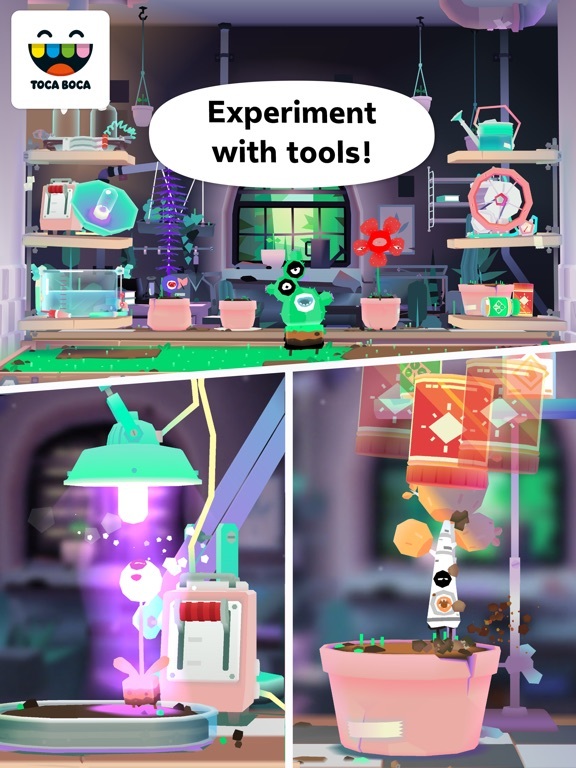 The world of science just got a little bit weirder and a lot more fun with Toca Lab: Plants! ● Grow light: Shine the light on your plant and watch what happens! Does your plant bask and happily sigh in the light, or groan and wriggle away? What happens when you turn the light up a notch or two? ● Watering tank: Put your plant in the tank and fill it up with water. Will your plant float? How does your plant behave when it’s soaking wet? ● Nutrition station: What’s the optimal diet for your plant? Try the three different nutrition formulas and discover which ones your plant character likes! 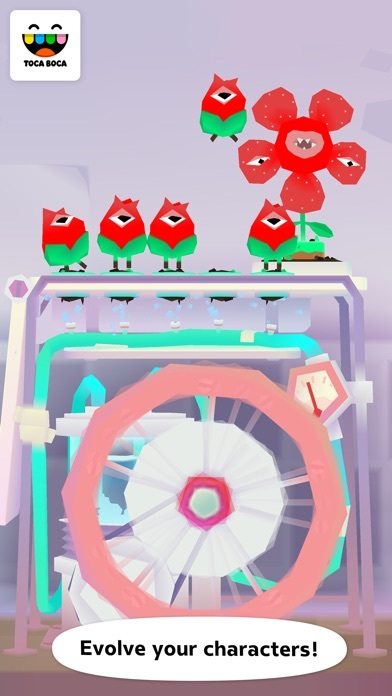 ● Cloning machine: Spin the wheel on the cloning machine and before you know it, you’ll have five little versions of your plant. Wonder what the clones can do? Experiment and find out! ● Crossbreeding apparatus: Here you can mix two plants to create something unexpected. Try it and see what happens! Have fun experimenting at each station to see how the plants evolve. 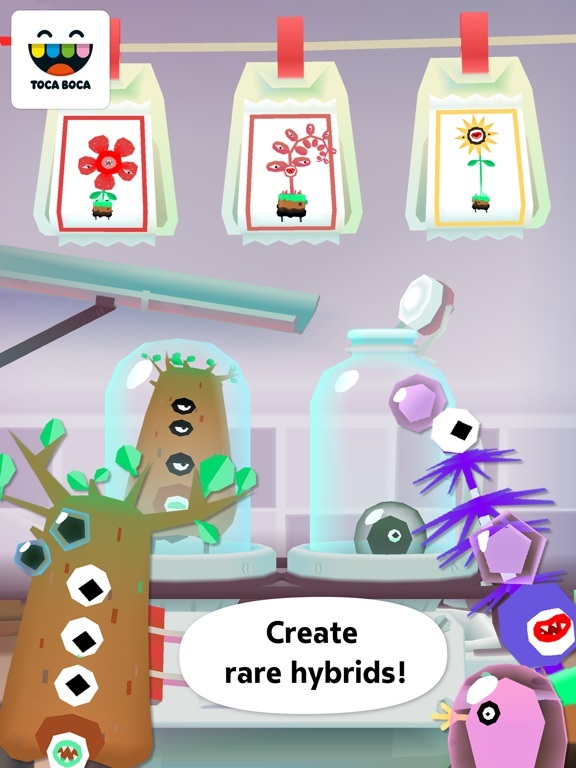 Keep experimenting until you’ve collected all 35 plant characters in the app. Once you’ve collected a plant, keep experimenting to continue to evolve it! 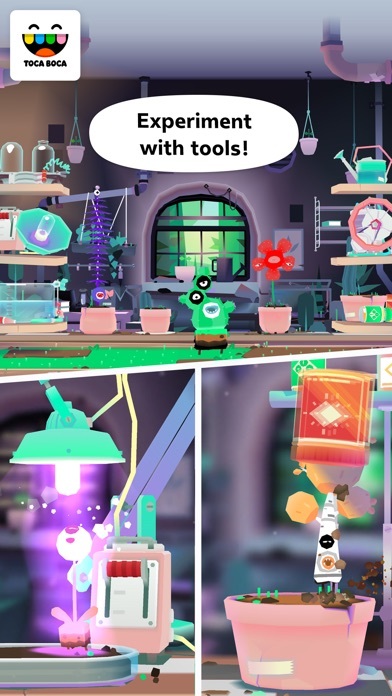 Who says kids can’t be scientists? 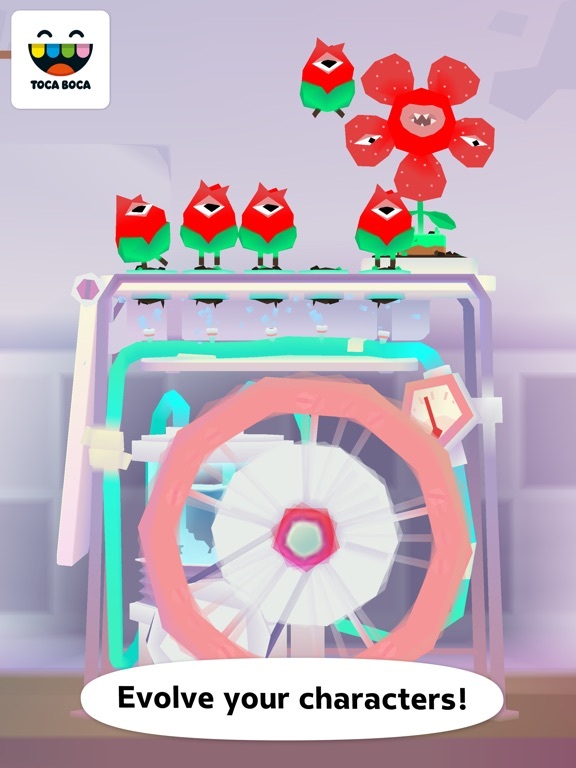 Toca Lab: Plants brings out the budding botanist in everybody! 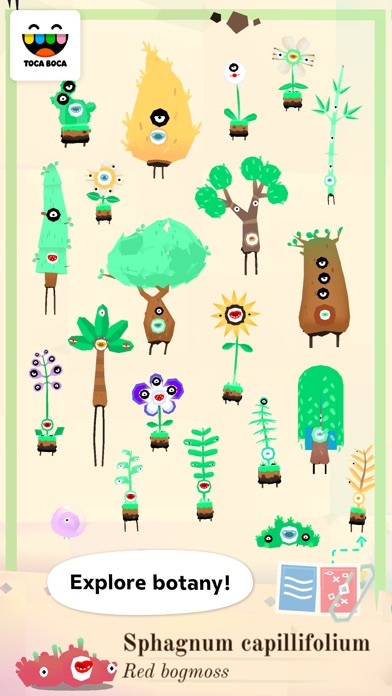 - Start with one plant and experiment your way to 35 different plant characters, each with its own unique personality! 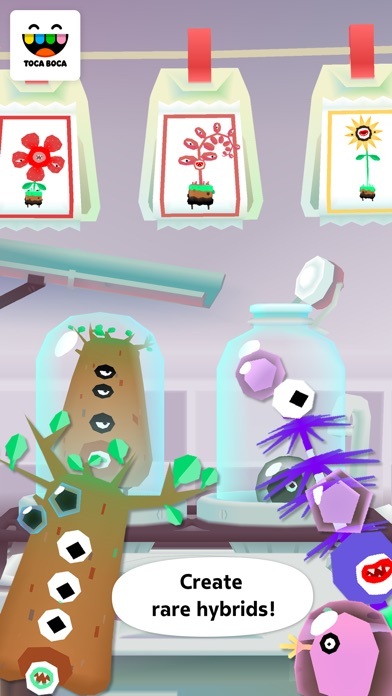 - Continue to evolve existing plants through experimentation! - Evolve plants with five lab tools: grow light, watering tank, nutrition station, cloning machine and the crossbreeding apparatus. 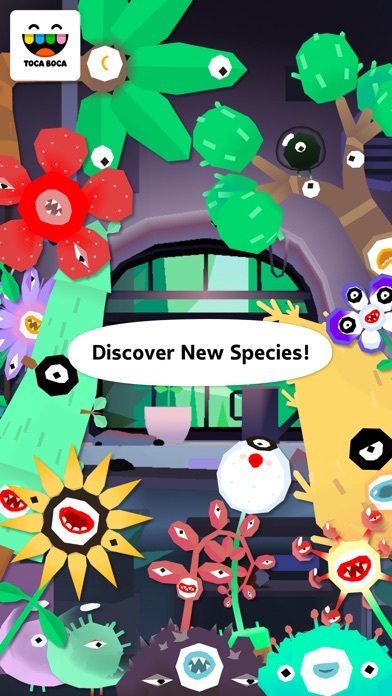 - Discover plants from five groups: green algae, mosses, ferns, trees and flowering plants. - Learn the names and Latin names of real-life plants! 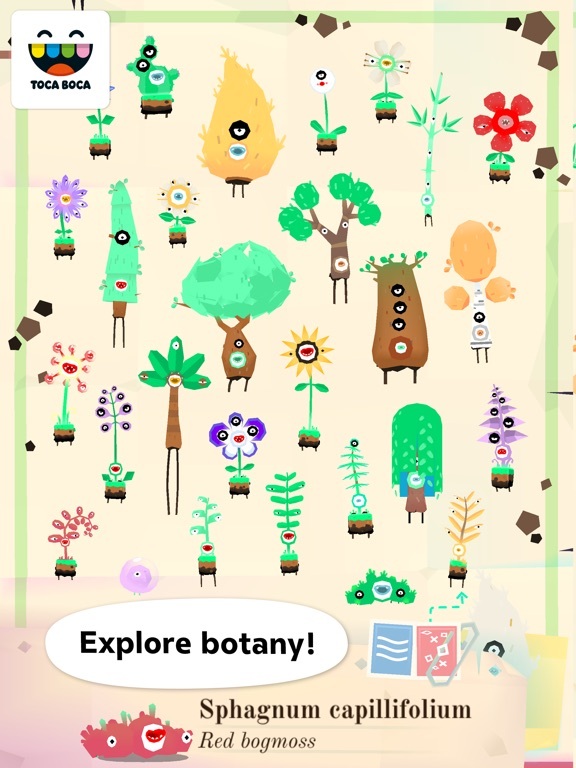 Thanks for playing Toca Lab: Plants! We think playing and having fun is the best way to learn about the world. We made some minor tweaks in this version for a better play experience. Enjoy!